By Reach for the Wall Staff Writers. ORLANDO – The airport in Orlando has been a popular hangout for Potomac Valley (PVS) swimmers in the past two days. The older swimmers are heading home after a successful long weekend of swimming at the NCSA Junior Nationals. The younger swimmers, ages 9-14, are here in Orlando – ready for their opportunity to make a mark. Beginning Tuesday, March 22nd and ending Friday, March 25th, swimmers from all over the country will be competing in the 2016 NCSA Age Group Swimming Championships. A quick look at the psych sheet for the NCSA age group meet reveals some familiar names from the recent PVS Junior Olympics Championship meet. Snow, Shark Tank Racing, RMSC, NCAP and Machine are representing PVS. Based on the psych sheet, swimmers from these teams should do quite well. But, before we talk too much about this meet, we need to highlight some amazing swimming during the NCSA Junior Nationals. 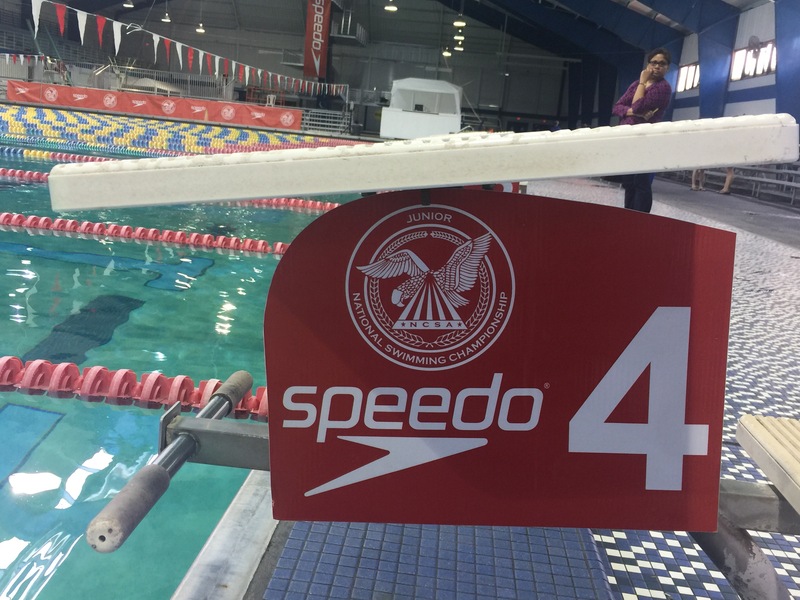 While the NCSA age group meet taking place this week is for the 14 and under swimmers, that doesn’t mean some of the younger swimmers didn’t compete in the “senior” NCSA Junior National meet last week. The Cinderella story of this meet involves one of those swimmers, Phoebe Bacon – a 13 year old NCAP swimmer from Maryland. Last year at the MCSL Coaches Long Course meet, many of us watched in awe as Phoebe, 12 at the time, broke the MCSL record in 100 backstroke (LCM). She clocked an impressive 1:05.04. It was clear then she was going to give the older kids a run for their money. In finals at NCSA Junior Nationals last week, her first time swimming long course since last summer, she swam a 1:03.78 in 100 backstroke (LCM), placing 14th. But, a true champion is unstoppable, and Miss Bacon decided to give the race another try in time trials. This time the clock was in her favor, where she posted a 1:03.19. The 13 year old Marylander now has an Olympic Trials cut to take home as a memento of her time in Orlando. Well done Phoebe! An interesting tidbit, time trials at this particular meet cost $5. That’s money well spent! And, as a little side bonus, Phoebe also won the Women’s 50 Back with a time of 29.15. Other PVS swimmers who also made Olympic Trial cuts include Griffin Alaniz (RMSC), Annie Boone (NCAP), Megan Byrnes (NCAP), Morgan Hill (NCAP) and Sam Pomajevich (NCAP). Congratulations to these and all of the many, many other PVS swimmers who swam this past week in Orlando. NCAP’s Women’s Team came out on top at with 1,233 points, 588 points ahead of 2nd place Ozaukee Aquatics from Wisconsin. The NCAP Men came up a mere 29 points shy of the 1st place finishers, NOVA Virginia. The Combined Team Scores had NCAP on top — 1000 points ahead of runner up NOVA. Machine Aquatics, also a PVS team, rounded out the top three teams at the 2016 NCSA Junior Nationals. In closing, we would like to congratulate all of the swims by the older kids and wish the younger kids the best of luck. Congratulations to Phoebe, she was amazing. It is a little disappointing that your wrapup of a five-day, national-level swim meet that involved so many PVS swimmers just mentions her, though. Several top swimmers from PVS had outstanding meets, making multiple A finals. Top PVS performers included James Jones, Kylie Jordan, Megan Byrnes, Hannah Lindsey, Isabella Rongione, Lane Stone, Annie Boone, Reni Moshos, Jasmine Hellmer, Sam Pomajevich and Morgan Hill. Phoebe was lucky enough to get another swim in 100-Meter Backstroke during a Time Trial session late Friday night. The session caused a lot of controversy at the meet because only a few coaches and their swimmers knew that a long course Time Trial was being offered then. We know of several other coaches and their swimmers who would have loved to have had another opportunity to go for a Trials cut, but they weren’t told of the Friday night session. So Phoebe’s big accomplishment in getting a Trials cut came in a virtually empty arena, during what was nearly a private session. Everyone was thrilled for Phoebe, but the situation wasn’t really fair to her, and it certainly was not fair to the vast majority of the coaches and swimmers in the meet. The favoritism shown to a few coaches by the meet officials (this wasn’t the only controversy) was really unfortunate. Thank you so much for your insight. 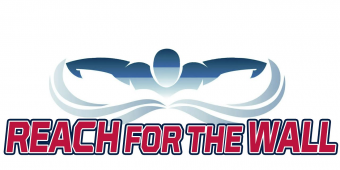 Reach For The Wall is now being run by a group of parents who decided to do this as a resource for the swimmers and their families. We are swim parents ourselves but weren’t at the meet (fingers crossed for next year for many of our swimmers). We had to rely on results through meet mobile and what people at the meet shared with us. Based on this info, we posted two previous articles that highlight many other PVS swimmers who were at the meet. We want the swim community to be an integral part of this site. We want you to reach out to us any time you have meet information to share. And please encourage your swimmers and swim friends to do the same. There is power in numbers – the more that share with us, the stronger we are. We are on the ground in Orlando now. The weather is amazing!!!!! The NCSA Meet Announcement establishes a procedure for signing up for time trials (eg, for Wed., Thur. or Fri., swimmers must sign up for time trials in the morning on the day they want to swim time trials, signing up for time trials on Tuesday will close 30 minutes after the general meeting, etc.). Did the meet officials do something different than the procedures set forth in the Meet Announcement or did some coaches/swimmers just not follow this procedure and thereby missed out on time trials? If the former, shame on the meet officials. If the latter, shame on the coaches/swimmers. As for the coverage of NCSA’s, Reach for the Wall wrote 3 articles about the meet and mentioned lots of PVS swimmers in these articles. That’s pretty good coverage, especially for a non-profit run by parents who have full-time day jobs who are just running RFTW on the side and don’t even have kids swimming at the meet. If you think there’s a story that these guys aren’t covering, write the story and submit it to them. I bet they’d publish it. We were all sad to see the Washington Post close down the site, so if we want to see RFTW 2.0 succeed as a resource for the PVS swim community, we all need to help support it. LRios — The vast majority of the coaches at the NCSA meet (meaning, everyone but 3-4) received no notification that there would be any long course time trials. If they had, there would have been a lot more kids in them. The procedure used for short course time trials was crazy — coaches were lining up at 5 a.m. or earlier to get their kids signed up for the one hour that time trials would be offered that afternoon, and even after they signed up and were granted slots in the time trials, there was still a chance their swimmers could be bumped out at the last minute, even after they had arrived that afternoon to swim. As I said, it was crazy, and lots of coaches and swimmers came away from the meet just exasperated. I happily support the new RFTW and I think it’s a great thing. It does appear from the first several articles that it is aimed mostly at the parents of swimmers aged 14 & Under; particularly families who are relatively new to the sport. The articles explaining the basic differences between various types of meets and levels of swimming are a great service to those families. I hope the site eventually develops that type of dedication and resources to covering more experienced swimmers (age 14 & Up) and their competitions. My point in my original post was that if you’re going to call something a “wrap-up” of a meet, then it’s reasonable for readers to expect the article to be about more than 1 swimmer. I assume these articles have comments sections because they want comments and suggestions. If comments and suggestions aren’t actually wanted or will be met with defensiveness, they probably should just disable this feature. This is really useful information to know – exactly why a comments section is needed. I’m sorry that some kids didn’t get to benefit from time trials (hopefully just due to disorganization instead of intentional discrimination). But having this type of intel is really helpful for parents, swimmers, coaches and meet organizers when they deal with time trials in the future. Hopefully, the process is improved as a result. On RFTW, yeah, they probably shouldn’t have called their last article on NCSA’s a “wrap-up”. More like “some more highlights”. And yeah, while the group behind the new RFTW seems to know the DMV age group world pretty well, especially on the Maryland side, they (and the rest of us) probably could benefit from input from folks who can better cover the older kids’ world, particularly on the Virginia side. Like…uh…someone like you (or someone in your crowd)! Write an article for the rest of us on what you saw at ncsa’s! Not to start a big thing here, but I was present at the mandatory coaches meeting on Tuesday, where Kevin Milak (meet director) announced to the 100+ coaches in the meeting that there would be LC time trials after finals for those who had been close to their cut in the meet, and who could make a compelling case for another swim to any board member. Though this is still a bit subjective, you cannot claim that only 3-4 coaches knew about it, as any of the many, many coaches who were at the meeting and paying attention would have heard him describe the process, and then it would have been a case of the coach advocating for his/her swimmer getting the opportunity. I agree that time trials in general were a zoo, but I wanted to erase the “conspiracy theory” – there are enough of those in swimming in this area. Thanks for the clarification, Dave. Very helpful! Thank you for your support. Please make a 100% tax-deductible donation to enable us to expand our offerings! Our FEIN is 81-1336849. © 2016 Reach for the Wall Inc.